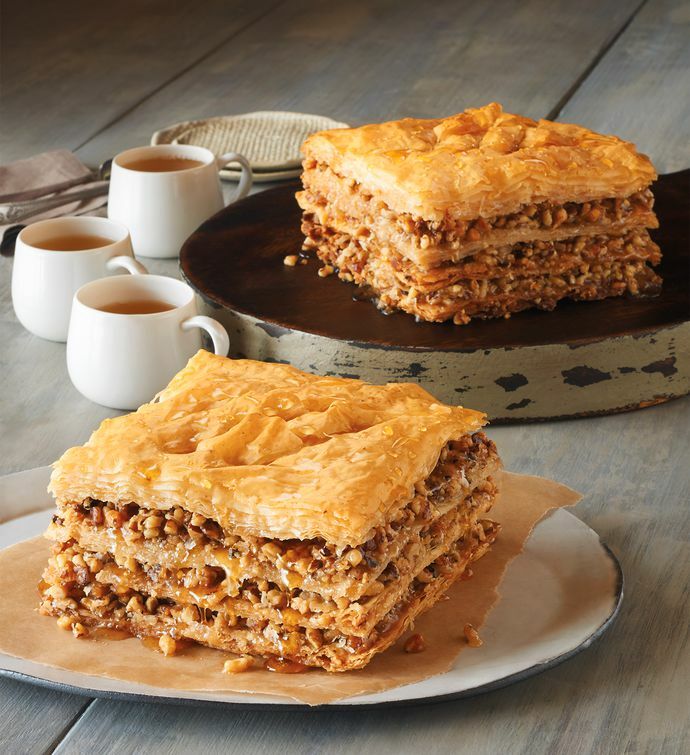 We've perfected our signature baklava recipe, and we craft it right here in the Harry & David bakery. This sweet and flaky Greek dessert pastry has become a customer favorite, which is why we offer it as a packaged gift duo. Baklava is delightfully rich, with 60 paper-thin phyllo pastry leaves, and features layers of minced walnuts, butter, cinnamon, honey, and a splash of lemon. You'll find that our baklava simply melts in your mouth. And since it's become more than just a holiday treasure, it's available all year long.